Medicare fraud is rampant these days, as is fraud with just about any other type of insurance or insurance company. The reason is that people are struggling with the down economy to make ends meet and insurance companies always seem to have plenty of money. There are ways to protect yourself against fraud, one being when to share your personal information over the phone and when not to. The beginning of this conversation is one in which we point out what may be a little bit of a contradiction in principles. Medicare and other insurance companies ask you not to share your personal information with just anyone and then ask you to share it with them. This may seem a little bit shady at first but can be easily explained by exploring the differences. 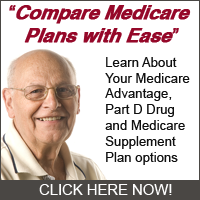 First, you should only provide your personal information to Medicare if you call 1-800-MEDICARE yourself. This is because you will know that you called the right place and reached someone that actually works for Medicare. You can’t have had your call re-routed to somewhere else that is not Medicare so sharing information is just fine. On the other hand, when you are called by someone else you should never share your personal information. This includes if someone calls you pretending to be from 1-800-MEDICARE. You shouldn’t be receiving unsolicited calls from Medicare so if the caller says this is where they are from it is likely a scam. If someone tells you this is the case explain that you don’t have the time to talk now and you will call back. Call back to 1-800-MEDICARE immediately and ask if someone was trying to reach you.